It is that time of the year where every Chinese person seems to be on the move. The Chinese New Year, also known as the Spring festival i.e. the Lunar New Year. This year’s Chinese New Year will take place between the 4th and 10th of February to prelude the year of ‘the pig’. As many Chinese are leaving the big cities to go back to their hometowns to visit their families and celebrate this festival with their loved ones, Shanghai does not necessarily become a ghost town. Yes, many companies, restaurants, and shops will be closed for business, however, the more touristy businesses will stay open. So, it is the perfect time to visit the otherwise tourist crowded areas. Also, for those remaining in Shanghai, Chinese New Year celebrations will be held. The festival involves many rituals. These rituals will take place at various locations in Shanghai. 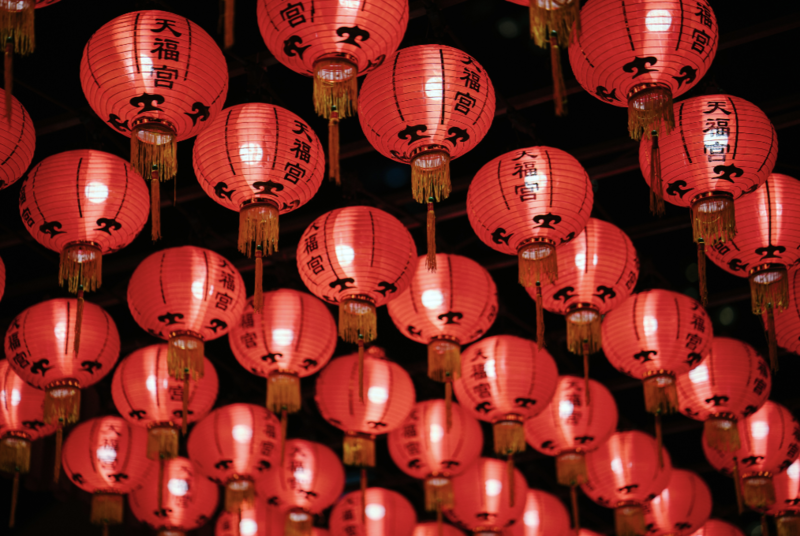 Here are some suggestions on what to do and where to go during Chinese New Year. This temple has been around for quite some time, as it dates back to 242 AD. So, we can easily assume that this temple has seen many Chinese New Years’. Nevertheless, every Chinese New Year the temple will become a place for many festivities in the form of temple fairs. These festivities include and most certainly do not limit to food stalls, street vendors and traditional ceremonies. One of those traditional ceremonies include the striking of the bell at midnight to ring in the new year. Therefore it is understandable that this ritual attracts a big public, so be prepared for lots of people! A few other temples with similar festivities that are worth visiting are the Jade Buddha Temple, Jing’an Temple, Donglin Temple, and Bao Hua Temple. Be aware that also for these temples it can be pretty crowded at times. Especially during the bell striking ceremony at midnight, you won’t have a lot of ‘personal’ space. Chinese New Year or not, this garden is definitely worth a visit! Visit this beautiful classical Chinese garden to enjoy some typical Chinese New Year entertainment. You’ll get to see shadow plays and dance performances and parades. Enjoy the beautiful scenery and the fresh air. The garden will be nicely decorated inspired by the Lunar New Year. So, expect lots of red and pigs themed decorations, including the many lanterns that will festoon the garden. You can explore the garden while looking out for plum blossoms and guessing riddles. Solving riddles have been a tradition during the Chinese New Year. People believe that during ancient times, these riddles were used by advisors to advice the emperor. If the emperor did not like the answer to the riddles, the emperor’s advisors could tell him that they had a different meaning. Nowadays, these riddles are just a fun way to ‘exercise’ your brain. Usually, people write the riddles on red labels which are attached to lanterns. The Chinese celebrate the annual lantern festival at the end of the Chinese New Year. It is a way to celebrate the ending of the Chinese New Year on a high note. Enjoy the lanterns and lights on the fifteenth day of the first lunar month, which is February 19. Of course, you’ll also be able to witness this spectacle at various other locations, however, the Yuyuan Garden is an impressive place to start. Since it is Shanghai it is safe to assume that the above-mentioned suggestions are merely a few examples of what the city has to offer during this period of mass migration. Check out The Spring Festival at a Glance to learn more about the Chinese New Year and its values and traditions! Feeling brave enough to be part of the mass migration? Here are some cool places that you can visit (or visit later if you’re not up for the migration challenge). If you are up for an even bigger adventure, you can find more information about internships and Chinese language courses we offer!